Pulse.ng cordially invites you to a Friday night worth anticipating at our weekly Pulse VIP Night. This Friday night as Skales will be in the building headlining the night as we unveil "Skales 2.0"
With the birth of OHK Music, Skales is set to take the Nigerian industry by storm, returning stronger than ever, under the management of M.et.al Entertainment behind him. He is set to release 'Skales 2.0' to the world that night, as he unveils his new label "OHK entertainment"; unveil of his label new signing "Drey Beatz"; Official Release party for "Shake Body" also unveil of New Materials to the smash single "Shake Body"
Special guest appearance; DJ Kaywise. 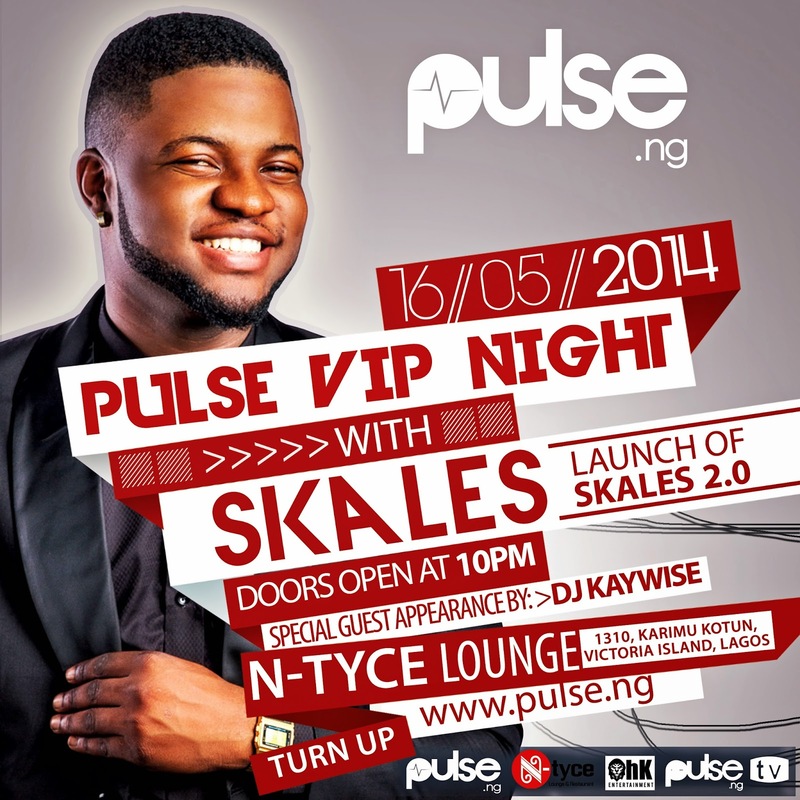 We request your humble presence to this event as we show love and support to the young maestro "Skales"